A fashion styling app, a social media service for time-strapped SMEs and an ‘Air BNB’ style website for quirky, underused event venues – were just some of the businesses pitched at SETsquared’s latest event for budding entrepreneurs. 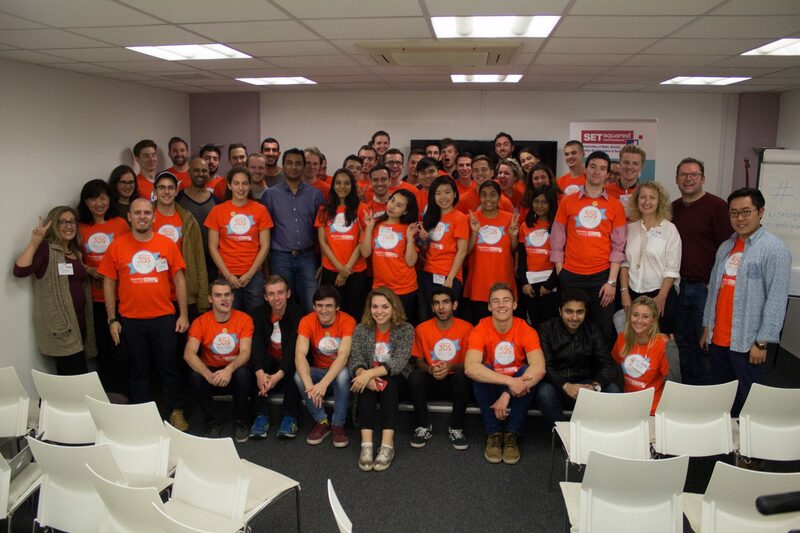 Students from across the five of the SETsquared Universities came together from 14th to 16th October for a 3 Day Startup (3DS) event. From over 100 applications, 50 promising undergrad and postgrad entrepreneurs were chosen to take part in an intensive 50-hour weekend enterprise programme. The concept for 3DS was created by the University of Texas and as is now run as a not for profit enterprise, with events taking place at universities around the globe. Each of the 50 entrepreneurs that took part came along armed with a business idea. These were all pitched and the students chose the top 8 strongest ideas to form teams around. One of the key benefits of the event was that each team was cross disciplinary and cross university – so everybody benefitted from new expertise and ideas. Styalise: a fashion styling app An app that tracks the latest fashions and trends. Get me dressed The deliveroo for fashion. Care Connect A service to address the challenges of the care industry. Houzez An online portal for students seeking accommodation and landlords. WUU2 (What u up to?) An app to find entertainment for the budget conscious. Venu An ‘Air BNB’ style website for quirky, under used event venues. SM2 A social media service for time-strapped SMEs. Pads & Pons A monthly delivery and subscription service of sanitary products, with a social enterprise twist – for every box delivered, one box is donated to a food bank or women’s refuge. SETsquared will be running 3 Day Startup next October at the University of Exeter.